中国有铁路吗？外国网友：中国人是搭乘潜艇出行 [美国媒体] Does China have railways? Yes, and at the top end China has the most one of the most advanced railways in the world: the Shanghai Transrapid. It’s the fastest passenger train in the world. This uses maglev technology, which makes conventional rail look like a horse and cart. China has vast distances to reach the various parts of the country, and a very large number of people that need to get from point to point, businesses that need to ship goods inward from the ports and outward from the farms and factories to the ports. As one of the largest and fastest growing economies in the world, it simply couldn’t achieve the rate of growth it has without a world class rail transportation system. 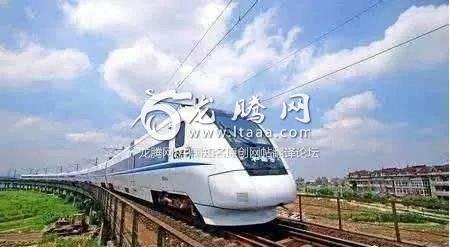 It has freight rail, passenger rail, and high speed rail – I have personally taken the high speed rail from Beijing to Xi’an, and the train was fast (up to 315 km/h), smooth, and comfortable. I can only imagine how it would be if the US had as good a passenger rail system as the Chinese. Yes – a minor one – 121,000 kilometres of it. The country also happens to have around 20,000 kilometres of high-speed (200 kmph or faster) railway lines – the longest in the world. This question sounds like a joke as you seem to be out of touch! China is mainly second to USA in may aspects but in others, have surpassed the US. President Barrack Obama said recently that China has surpassed the US in terms of railways and also in terms of space programs( US has been putting its focus mainly on the space shuttle while China has been using the conventional rocketry system for the last few decades and have made improvements to their space vehicles over the years. No. No need for railways. I heard that the Chinese travel in submarines. Yes including bullet trains and they are very modern engineering marvels. For visitors to Xiantao City, please get off at Tianmen South Station. For visitors to Tianmen City, please get off at Xiantao West Station. If China does not have a railway, it will not make such a joke.